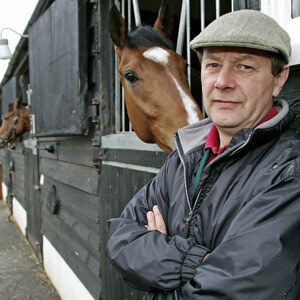 Son of trainer Ron Wall, Chris started his education in racing in Lambourn with Barry Hills and Bruce Hobbs. He spent two years as assistant trainer to Sir Mark Prescott between 1982 and 1984 ahead of another two-year spell assisting Luca Cumani. After taking out his licence as private trainer to Ivan Allan in February 1987, Wall enjoyed a first success three months later. His first major horse was Candy Glen, who recorded a pair of Italian Group 1 victories in 1989 and 1990. Other notable horses to have been trained by Wall include Missed Flight, who posted a brace of Group 2 victories, and US Grade 1 winner Donna Viola. More recently, Wall has enjoyed further Group-race success with Wake Up Maggie, Ashdown Express and Premio Loco.